Revenue Cycle Management (RCM) covers the life of a patient account and includes all of the processes that contribute to running a healthcare organization, from capture to management to collection of revenue for patient services rendered. Specifically, the RCM cycle covers claims processing, payment, and revenue generation, serving as the circulatory system that keeps a healthcare organization running. RCM is maintained through the use of technology to help you keep track of claims throughout the processing lifecycle and make sure that payments are collected and denied claims addressed. 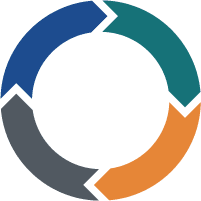 With checks along the way, each step of the RCM cycle is intended to allow for an opportunity to address and resolve any issues that have come up quickly. Why Is RCM So Important? Revenue Cycle Management keeps an organization moving and thriving. If inefficiencies in staff skillset or denials management occur in any one stop along the cycle path, the healthcare organization may not be able to attain full payment for services rendered, negatively affecting the facility’s bottom line. For this reason, it is vital that an organization properly train their in-house employees to manage the RCM cycle effectively. Another option for many healthcare facilities is to outsource all of part of the Revenue Cycle Management process, allowing a qualified agency to manage the details full time so you can focus on providing quality healthcare to patients. At MBA Medical, our expertly-trained team is ready and able to handle all or part of your RCM processing. We’ve evolved with the healthcare industry to offer a diverse mix of solutions to help clients thrive every step of the way. Our team undergoes consistent training in the best operational practices that take our integrated business management offerings to the next level. If you’d like to focus on the service provision side of your business, MBA Medical is here to ensure that your RCM runs smoothly. Call us today! We’re happy to answer any general questions you may have, or meet with you in person to assess your unique revenue management needs.